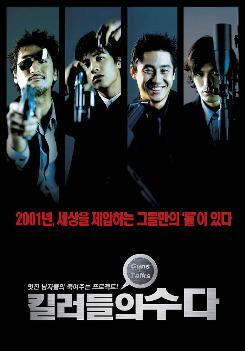 Guns and Talks (Killerdeului suda) is action comedy from 2001, directed and written by Jin Jang, who also produced and wrote Welcome to Dongmakgol. Story about freshly formed group of contract killers in Seoul, who are just starting to make their own name in the business. They complete the task of killing in any way client requests to. This group consists of two brothers, Sang-yeon (Hyeon-jun Shin) and Ha-yeon (Bin Won), and two of their friends Jae-yeong (Jae-yeong Jeong) and Jung-woo (Ha-kyun Shin). Business is going well, until one day they have to do a high risk job, while discovering that someones onto them. While it's a movie about killers, it's more of a light comedy about inner relationships in the group with action parts, and some drama mixed in. Whats great is that you can observe still young actors who few years later would become some of the top stars in Korea, like Bin Won, known for The Man from Nowhere and Mother for whom Guns and Talks was debut movie. 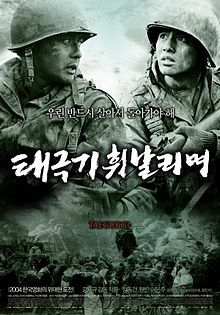 Entertaining flick thats worth a watch. 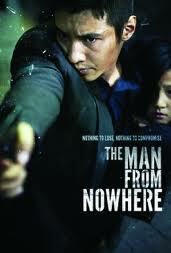 The Man From Nowhere (Ajeossi) was biggest and certainly most popular movie of 2010 in South Korea, and currently probably is one of the most well known Korean films of past few years in west. Written and directed by Jeong-beom Lee who had already proved himself as capable director in his debut Cruel Winter Blues from 2006. 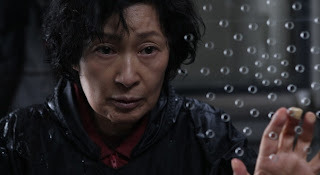 Plot summary is simple, a quiet pawnshop keeper with a violent past takes on a drug and organ trafficking ring in hope of saving the child who is his only friend. Story itself is quite the cliche of action genre, but don't be discouraged by that, whats important is the raw energy and drive that this movie is accompanied by. Young movie star Bin Won who just year ago played shy and quiet boy in fantastic drama Mother, now takes complete makeover and becomes action movie superhero delivering spectacular performance as a powerful lead. If you are a fan of thrillers that have likable and cool male characters, lots of action, and in general are really stylish, you will love it. If you like movies like Man on Fire, Léon: The Professional, Taken you will love it. I do love it. It has everything that makes a great action movies. Everything. And Hollywood doesn't sleep, remake right were quickly acquired.